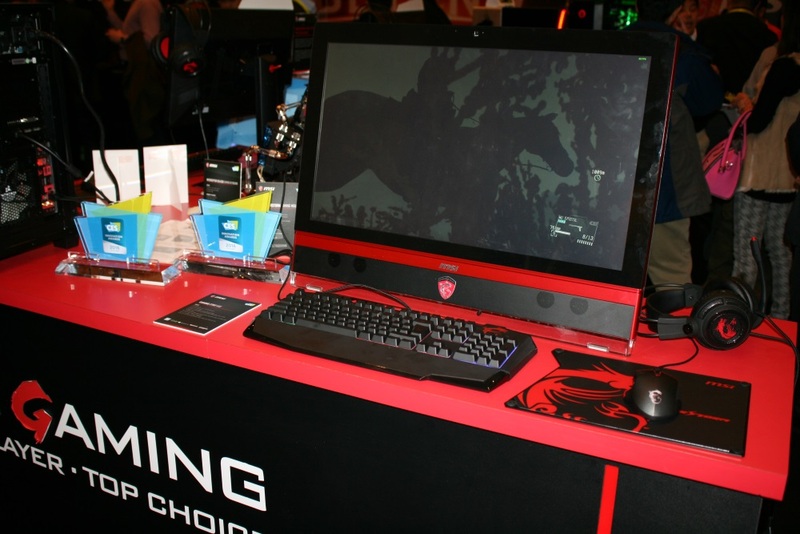 Our next stop in the long tour of CES 2016 was with MSI. 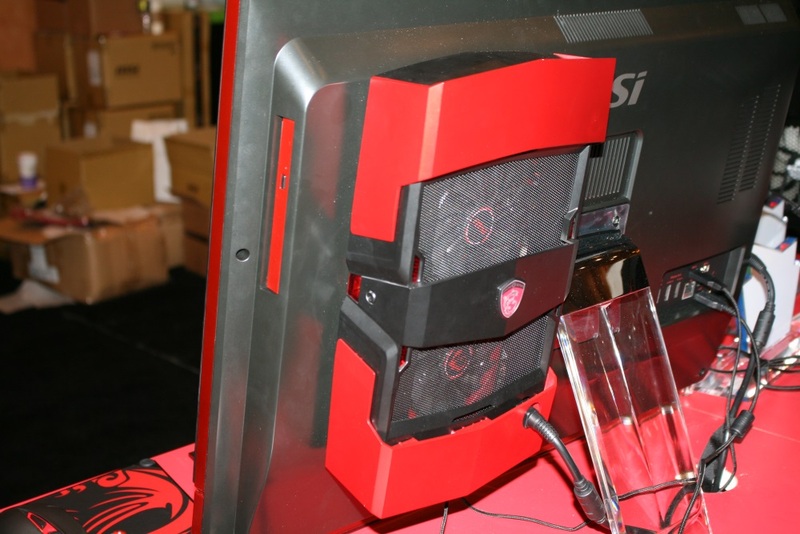 MSI had a lot of great things to show and even won a few awards for these devices. 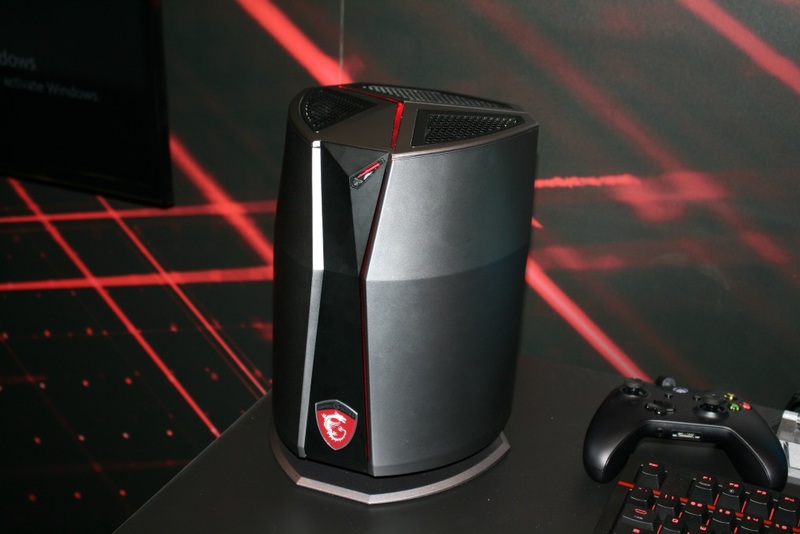 We will show you their Vortex mini PC, the Gaming 27XT 6QE AIO Desktop PC, GT72 TS Tobii laptop, and more! One of the last things that we looked at I wanted to bring up first because its just a pretty cool item. The Vortex PC comes in a small, circular package. I would imagine it to be around 8″ diameter and 14″ tall or so. It packs some power in with dual SLI graphics support, the 360 degree Silent Storm Cooling System, and the latest Intel CPU. This easily upgrade-able package sure was a looker and packed a punch as well. Watch more on this little power house here. 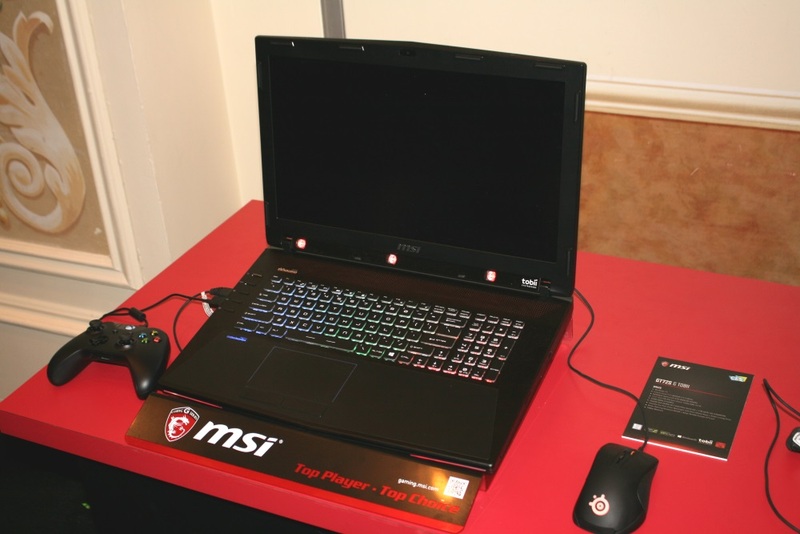 Next we had a chance to play with an all in one PC from MSI, the Gaming 27XT 6QE. This AIO PC features a 28″, 144 Hz LCD touch panel, an I7-6700 processor running on the H170 chipset, and utilizing up to 64GB of DDR4 in four DIMM slots. On the back you can see a full size GPU can fit in there, up to an NVIDIA GTX 980 Ti or Titan X. Being the new chipset we have support for up to 2x M.2 PCIe SSD with RAID support. A power house PC is packed on the back of a screen here, folks! One of the really cool things we had a chance to experience was playing on the GT72S G TobII laptop featuring eye tracking technology for a really immersive feeling in game. The demo was playing the new Assassin’s Creed. After a quick initial calibration, I jumped into the game and was able to look up into the scenery and buildings, aiming my grappling hook for example, while I freely looked around. This won an Innovation Award this year at CES and was really a blast to try out. You can see the three IR sensors towards the bottom of the monitor. We also ran across the soon to be released X99A Godlike Gaming Carbon, the Z170A Pro Carbon, Z170A Krait Gaming 3x, and even a B150M Gaming 3x among other boards laid out. Keep an eye out on the front page for another article from CES 2016! Questions about the Gaming 27XT 6QE AIO Desktop PC. 1) What video connector do they use between GPU and monitor/AIO? 2) Can the monitor/AIO be used as an external touchscreen monitor for another computer? 3) What is the resolution of the monitor?